How has this thing not been used in an action movie? 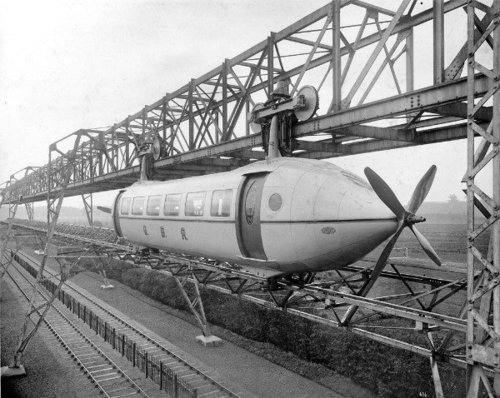 It’s the Bennie Railplane, a concept briefly tested in the 1930s near Glasgow. It never got funded and was never fully built. Here’s a good explanation at the Retronaut blog.